One of my Facebook followers sent me this article that he also posted online. His uncle was followed by a birthday-cake-shaped UFO! Thx Dave! UFOs over Clearwater Bay, Kenora and Winnipeg, this day in 1954! On July 22, 1954, Fred Alcock was at his home on Clearwater Bay just a few miles to the west of Kenora, Ontario. Early in the evening, he was sitting on the dock behind his cabin looking out over the water, when he saw three strange, saucer-shaped objects that were clearly defined, gray-metallic in color, with wide shallow domes on the top surface. A veteran of the RCAF, Alcock instantly knew he was not seeing ordinary aircraft. The discs were travelling west when they came to a stop above an island about 10 miles away. Silhouetted against the blue sky, the objects hovered for approximately two minutes. When the objects departed, they did so in a startling manner. Said Alcock: ''They were just―swoosh―gone!" About 20 minutes later, five objects flying in V-formation zoomed over Winnipeg, 30 miles west of Clearwater Bay. For about 30 seconds the formation was in view as it crossed over the city heading west. A Royal Canadian Air Force officer who watched the formation pass overhead said later the object were: "oval and definitely metallic." Another witness told the press the objects resembled “brilliant balls" similar to Christmas tree ornaments. The following evening, July 23, 1054, six other orange-yellow spherical objects passed over Kenora. About three miles southwest of town, Mr. and Mrs. W.A. Cartwright watched the objects through binoculars. The Cartwrights said the round objects became elongated while in view and they suggested the objects were flat discs turning on their horizontal axis. UFOS: A History: 1954 June-August. News was slow to trickle out, but media finally did pick up on the release of the M-Files. Most of the stories originated with one interview I did with Canadian Press (kind of the equivalent of Reuters or AP). The only concern was that a phrase I used was taken out of context and is the lead or headline in most versions of the news story. I did not say that "we are being visited" in the sense most people think. What I did say was that witnesses' reports of aliens or what they term spacecraft suggest that we are being visited, but that there's not proof of such visitation. But I share other astronomers' views that life probably exists elsewhere in the universe, though how it could travel between the stars is unknown. The witness reports, which have common themes and descriptions, suggest "we are being visited." "That doesn't mean that aliens are invading Canada in any way, but it simply means there are unusual reports of things in the sky," [Rutkowski] said. "It certainly says that we probably are not alone in the universe and that there probably are some sort of alien civilizations out there somewhere but there is no proof of that." I don't know how the UFO reports "certainly" imply we are not alone, but "c'est la vie." The one unfortunate thing is that the news stories don't give the links for readers to go to for more information. Including a link to the raw data of 2,023 cases, in PDF. Anyone can use the search function to find their favourite Manitoba town. Finally, I should note that all of this would not have been possible without the dedication and hard work of Geoff Dittman and Ashley Kircher. Go team! I was going through some old files and found a batch of cases reported online in an old NN news discussion group called Paranet. Among the hundreds of cases was this one, taken from an RCMP file and redacted by Mike McClarty, who was very active in Canadian ufology for many years. Not sure what happened to him after he retired, though. The following is a statement given by a witness to a UFO sighting near Rosetown, Saskatchewan to an RCMP officer, and has been re-typed to as closely resemble the original as possible. On 95-01-29 at approximately 7 p.m. I was heading east on my grid near my farm. As we were driving home I noticed a flying object just to the south of the grid. It was travelling in a north by northeast direction. It was travelling very slowly for a flying object. The object then proceeded in the direction at approximately 50 mph. This is very slow for a plane to be travelling and it was only about 300 to 400 feet above the ground. The object was flying over my uncle's cattle. The object was followed by us and then it made a quick northwest direction turn. The object continued to fly in that direction, but the turn was similar to a 45 degree angle. This object flew off in this direction. I figure we got to within about one mile away from it before it took off in the opposite direction. I've never seen a plane do that sort of turn before and I don't believe it could unless it flared up and this object didn't flare up and turn. It is possible it could be a gyrocopter or a helicopter, but the turn it made was too sharp for a copter, I feel. Q. When/where exactly did you see this object? A. One mile southeast of my farm on 95-01-29 at 7 p.m. We followed it east on my grid one mile and we stopped and watched it. The object would have crossed the grid I was on, right where I was sitting when I decided to watch the object. The object then continued northeast for about one mile and then it made its sharp turn and continued northwest. Q. How long did you see this object? Q. Can you give me a description of the object? A. No, not really. It had red lights, blue lights and white lights. Q. How many lights would it have had? Q. How bright was the light? A. Just like regular aircraft lights. Q. Any shape of the object? A. No, that's the bad part. Q. Altitude of the object was? Q. What color was the object? A. I couldn't make it out. Q. Did it make any sound? A. I never opened a window and it was too windy. Q. What was the condition of the sky? A. It was clear, but it was at dusk so we couldn't see stars yet. Q. Who all saw the object? Q. Anything else that stuck out about this object? A. We don't get many planes that low at that time of day in this area. Also, the unusual turn that this object made. It was like a 45 degree angle from northeast to northwest. In addition, historical records from newspaper archives, journals and personal diaries have been scoured for reports of unusual aerial objects. These and all other sources were used to add Manitoba reports into a master database for studying what Manitobans have been seeing in the province’s skies. 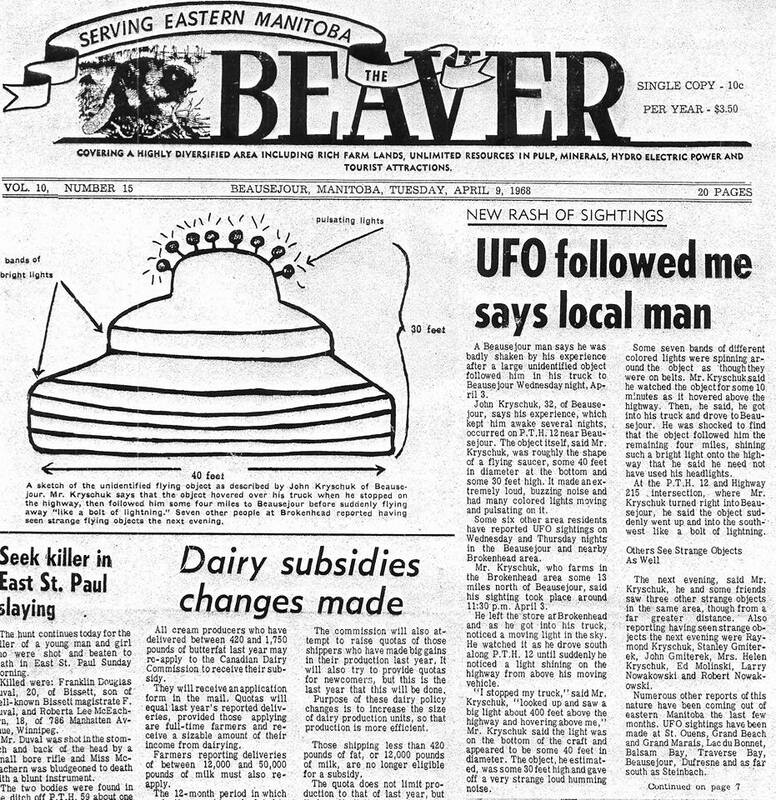 Between then and now, Ufology Research has collected more than 2,000 reports of unidentified flying objects over Manitoba. These reports include observations by people from all walks of life―from farmers, pilots, campers and police. There are reports noted in newspapers, mailed to civilian investigators and posted to Facebook groups. 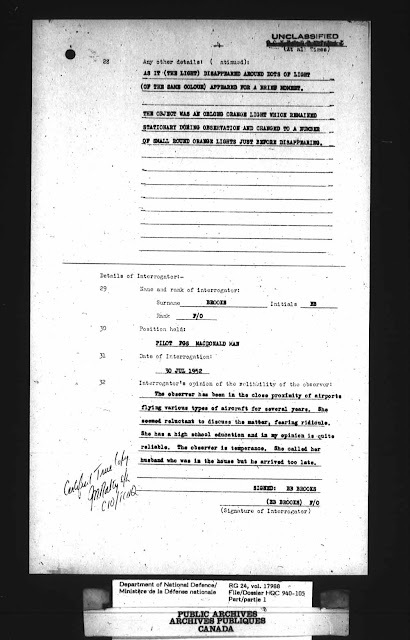 Cases have been obtained from private files, RCMP files, Canadian Forces documents and the National Archives in Ottawa. 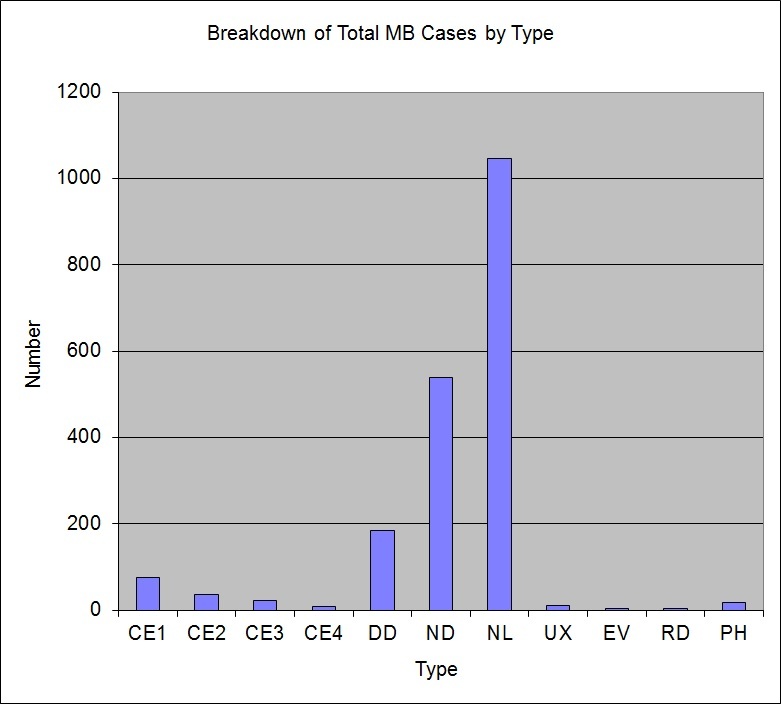 It should be emphasized that UFOs classified as Unknown or Unexplained do not imply alien visitation. Each case might have an explanation following further investigation. And of those that remain unexplained, they may remain unexplained, but still are not incontrovertible proof of extraterrestrial intervention or some mysterious natural phenomenon. 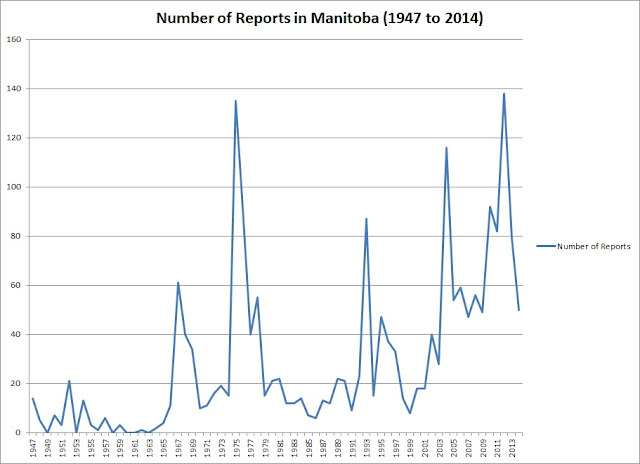 A total of 2,023 Manitoba reports were found in historical records, existing files and modern databases. Of these, most were clustered during the years 1952, 1967, 1975, 1992, 2004 and 2012. Some of these years correspond with UFO report trends elsewhere in the world, although there are some differences. 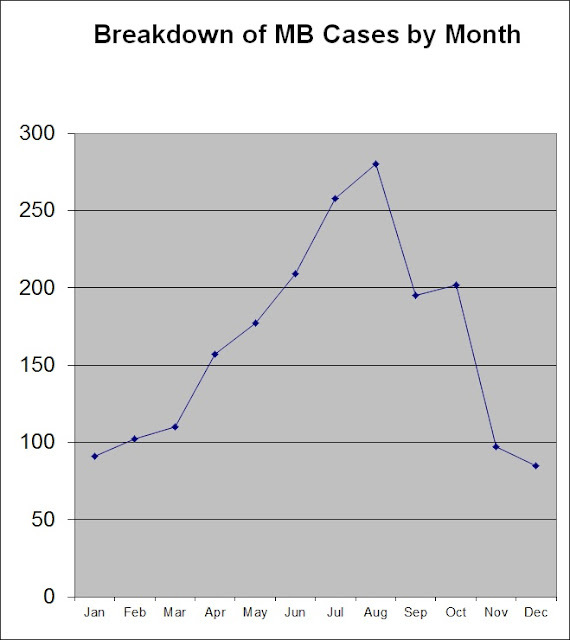 Breaking down the cases by month, UFO reports peak in Manitoba in July and August, which is what we would expect for a province that has harsh winters. Most sightings occur when the weather is warm and more witnesses are outside, at cottages, campgrounds or when evening sky observing is comfortable. 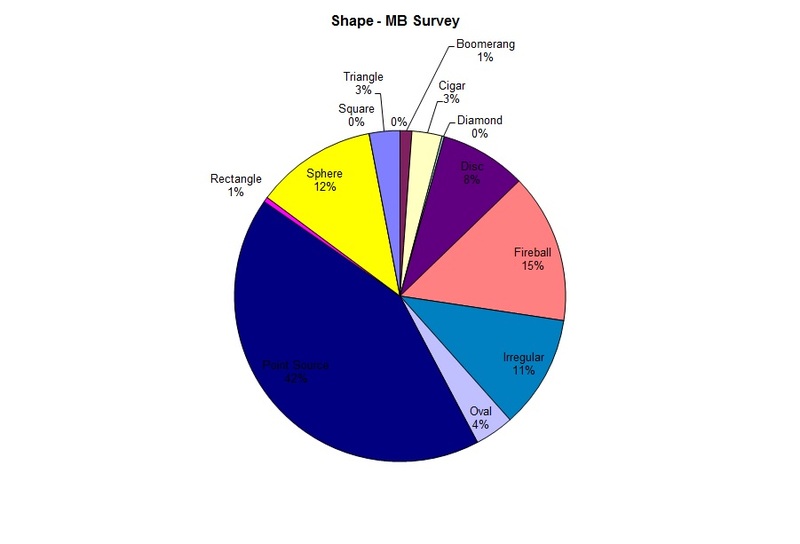 For the type of UFO reported, the most common was a simple Nocturnal Light (NL) at 54% of the total. This was followed closely by Nocturnal Disc (ND), at 28%. What this means is that at least 82% of all sightings occur at night and that most are simply lights in the night sky. Less than 10% of all cases are Daylight Discs (DD), and are objects reported during the day. Less than 7% of all cases were Close Encounters, where witnesses were within 100 metres of an unusual object. Since previous studies have shown that the density of UFO reports is related to population, it should not be surprising that the largest proportion of Manitoba UFO reports occurred in Winnipeg (38%). However, towns with small populations such as Carman and Sperling made the top five list of UFO “hotspots” in the province, obviously due to the major UFO flap in the Carman area in the 1970s. 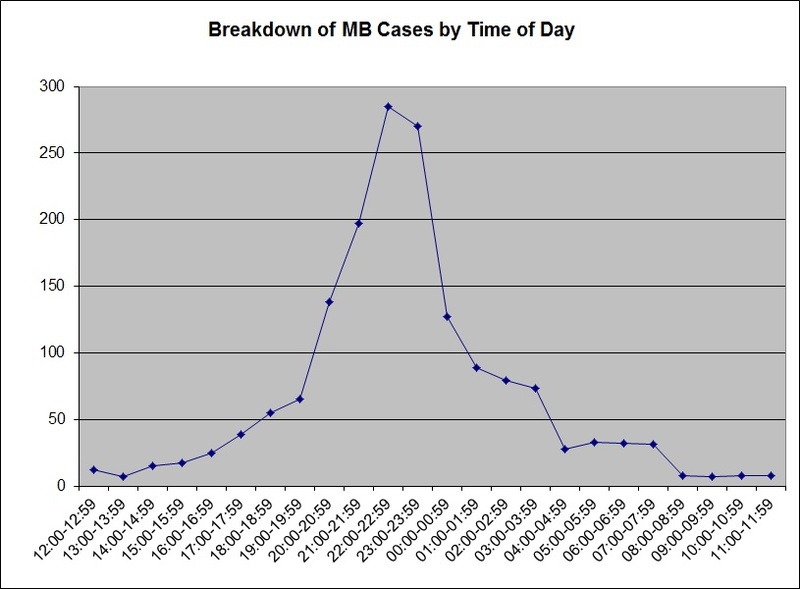 The prime time for seeing UFOs in Manitoba was between 10:00 pm and midnight. The average duration of a UFO sighting was about 20 minutes, suggesting that a witness had plenty of time to observe and try and explain the object being observed. 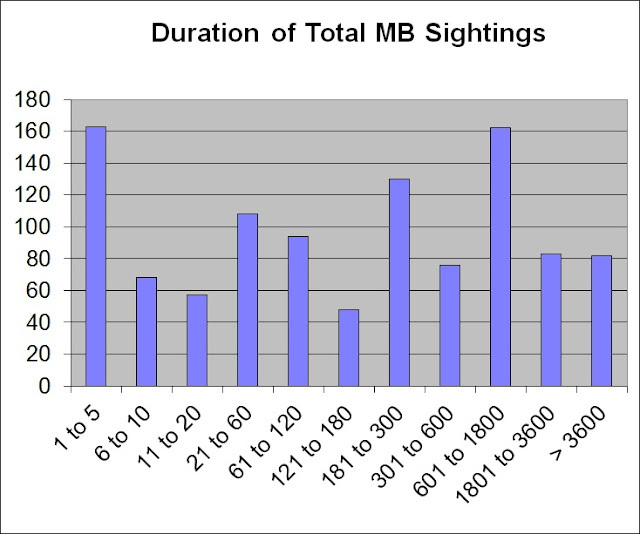 Curiously, in cases where the UFO was Unexplained, the average duration of observation is lower, at only about 17 minutes. 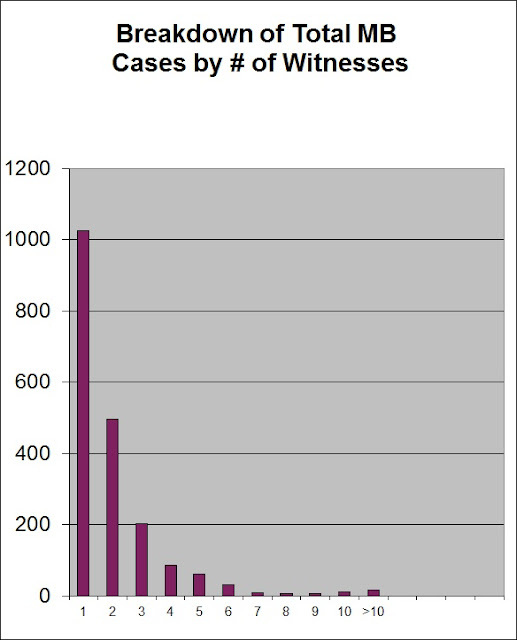 The average number of witnesses per sighting is 2.08, meaning that the typical case involved two people observing a UFO together. For Source of reports, about 37% were reported directly to Ufology Research. 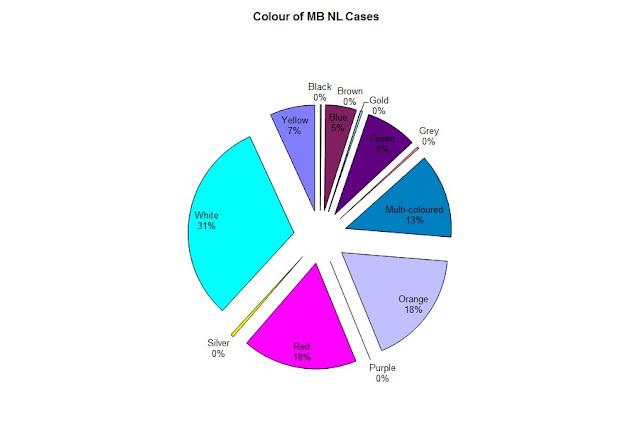 National Defence had 8% of the cases, with smaller fractions coming from RCMP, Transport Canada and the National Research Centre in Ottawa. 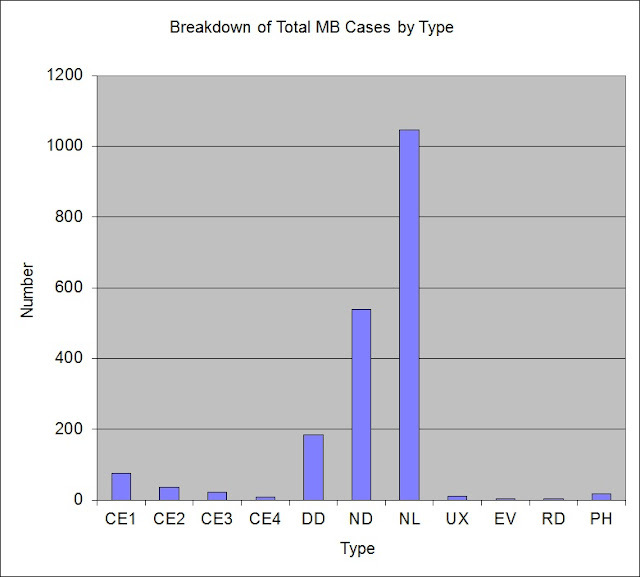 US-based UFO organizations such as MUFON, APRO and NUFORC provided about 25% of the data. In Canada, there were two military investigations of UFOs: Project Second Storey and Project Magnet. Both were relatively short‑lived, and associated with a controversial electronics specialist named Wilbert B. Smith. During the course of his work in the Department of National Defense, Smith became convinced that UFOs did represent alien contact, though his view was not shared by his superiors. However, Smith claimed he had been privy to top‑level meetings with both Canadian and American military personnel, and he was told at these meetings that flying saucers were considered to be of major concern to the American military. Later in his career, Smith claimed to actually have been in contact with the aliens, who had begun preliminary negotiations for an official landing at a Canadian military base. As strange as his claims were, Smith was a creditable electronics genius. According to some reports, when he died, government officials confiscated all of his documents and personal papers from his home. According to the files of Project Second Storey, on July 29, 1952, at about 11:00 pm., a witness at MacDonald Airport north of Winnipeg watched an orange, oblong, stationary object in the south-southwest sky for about two minutes. The aerial craft was about 15 degrees above the horizon and was calculated to be about six miles away from the airfield. As the witness watched, the craft seemed to change into a group of smaller, round lights, and then they all disappeared altogether. On August 27, 1952, at about 4:45 p.m., two meteorological officers at MacDonald Airport a disc shaped object “like “shiny aluminum” and with “with shadows on it as if it had an irregular surface.” It was seen hovering motionless over the airport where the rotating beacon caught it in the sky. It was thought to be below the cloud ceiling of 5,000 feet and was judged to be five or six times the apparent size of the Moon. As the observers watched, the object started moving and flew around the field twice, then suddenly zoomed northeast, getting out of sight in only a second. The American presence in Manitoba during the Cold War was quite significant. The 916th Base at Beausejour (Milner Ridge) was a major radar facility for monitoring objects flying south towards the United States. A former duty officer in the radar operations building there said that in the fall of 1956, he detected a strange object moving south over Eastern Manitoba. It was a strong return, indicative of a solid object such as an aircraft, and about 175 miles northeast of Milner Ridge. He was surprised when the second trace on the radar scope showed it had moved a great distance from the first plot. In order to confirm the return, he checked the height and range indicator and calculated the object’s altitude to be 75,000 feet. When he spotted the object again, the equipment suggested that its speed was between 6,000 and 7,500 knots — faster than any known aircraft at the time. He explained: “If I had not confirmed its location on the two independent systems, I would have just passed it off as a malfunction.” He tracked the object for about 10 minutes as it flew a straight course with slight changes in direction, but always the same altitude. The nearest it came to the base was around MacArthur Falls. He reported it to the chief controller, who labeled it a malfunction. However, the officer was called into the controller’s office the next day and instructed never to tell anyone what he had seen. Michalak spent a great deal of his own money traveling to the Mayo Clinic, as it was not covered by Medicare. The results of the tests were negative; the physicians could find no explanation for his symptoms, and psychiatrists concluded he was not the type of person who would make up such a bizarre tale. If it was a hoax, it is the most contrived on record, involving radiation, contaminated soil, medical examinations and a flurry of interrogation by government officials at many levels. At about 6:00 p.m. on June 30, 1967, a woman was walking through her home in Thompson when she heard an odd beeping sound. She looked out her kitchen window, and saw dirt and loose pieces of paper flying in a large circle around the house. She went outside, and saw her husband (who had just returned home) and five children staring up into the sky. A young boy was holding down her eight‑year‑old daughter, on the ground. Up in the sky, a rectangular object hung in the air, slowly rotating counter‑clockwise and showing alternating silver and black sides. It was black on its lower surface and made no noise. The object began moving off at an angle, stopped and hovered, then continued towards the southeast. Until this time, the circle of dirt and dust had persisted, but it now died down. The whirlwind was very strange in that it was confined to the area immediately around their house, and did not affect any other houses on the street. When the object moved away, the dirt fell to the ground in a circle around the house. Going to the children, the woman found they were gradually calming down, all except her daughter, who seemed dazed. The boy explained that the five of them had been playing in the yard when the object first appeared overhead. 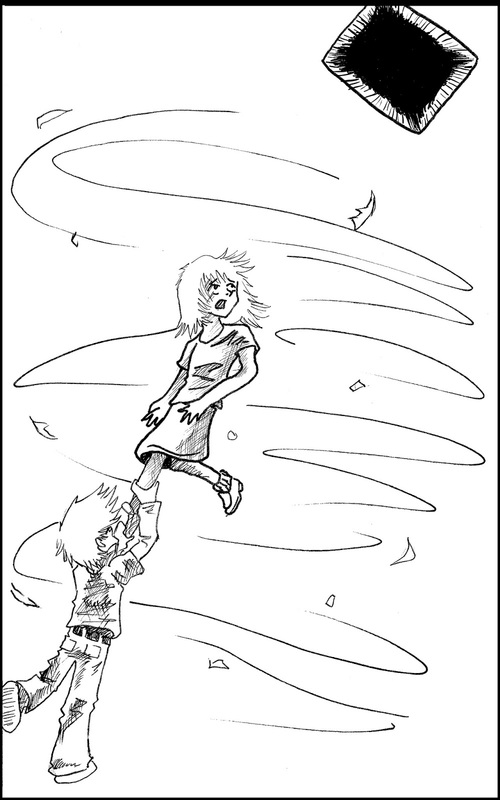 As they watched, her daughter had risen into the air, apparently under the influence of the object in the sky. By the time the other children had come to her aid, she was about three feet off the ground, and her clothes had edge up her body. Her daughter said she did not remember anything from the time she felt the wind to the time she recovered after being dragged back to the ground. ... a big red light coming at us, like a big landing light. You couldn't miss it. It was right at eye level, and it was just loafing along. It was close enough already that you could see the dome on the top, but it was all red―pulsing red. 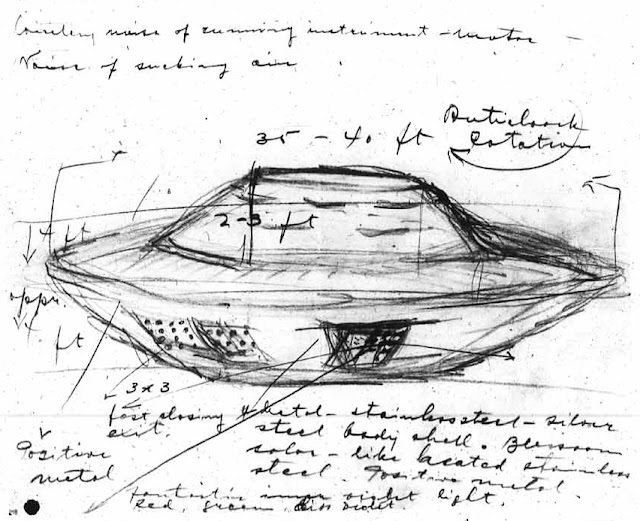 The saucer‑shaped object flew towards them from the west, then eventually veered north and travelled "about 300 feet above the tree tops," going an estimated 30 miles an hour. The entire sighting lasted no more than five to seven minutes. The Diemerts observed objects a few more times that month, but the real affront on their airport took place later, beginning on May 7, 1975, when sightings began a nightly streak that lasted, literally, for months. During the summer, a large number of people would gather at the Diemert's field, watching for the nightly appearance of the affectionately-named “Charlie Redstar” as he (or it) skimmed low over the trees on the horizon, then soared overhead in a grand finale. 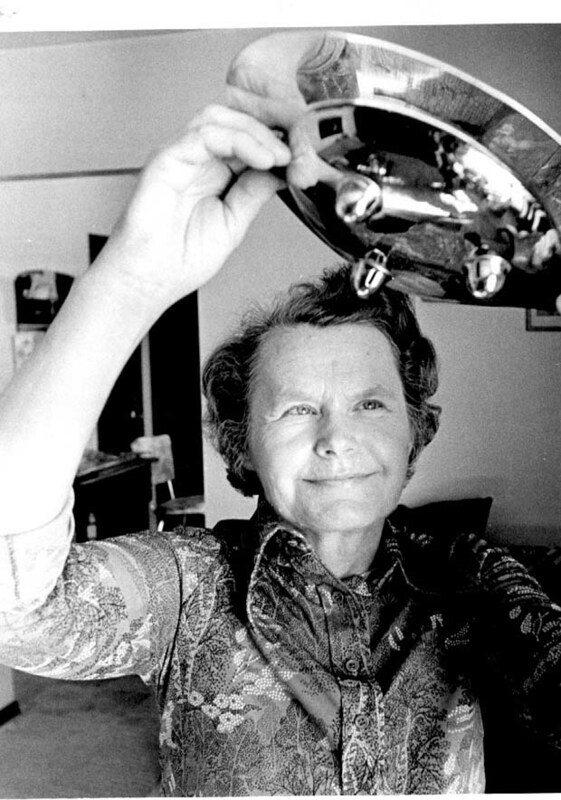 “Charlie” continued to put on a show for observers all that summer; UFO watching became a favourite pastime for Carman residents, and many Winnipeggers joined the fray as well. Carloads of curious people came each night to try to see their own UFO bobbing through the night sky. The media made a mockery of the hysteria, both in print and on the airwaves. Ads in local newspapers urged the reader to "Shop where Charlie Redstar shops!" A National Enquirer reporter even arrived to interview witnesses and put Carman “on the map.” A circus-like atmosphere evolved; cars lined the dirt roads along favourite “hot spots,” and traffic jams occurred as Charlie flew by and drivers scrambled to be first in the chase. During these chases, speeds of 80 or 90 miles per hour were not uncommon, and it was perhaps only luck that no serious accidents happened. UFO watching parties took place throughout the region, lasting in many cases through the night and into the dawn. described it as "two domes" with a middle section of "clear material that resembled glass." The top was silver and the bottom was milky white "like the belly of a fish." Frightened, the witness tried to drive his truck away from the scene, but his truck wouldn't start. He watched the object fly slowly into the east and disappear behind the trees. On July 2, 1975, a farmer living near Halbstadt, a hamlet about 95 kilometres south of Winnipeg, discovered an unusual oval barren patch in his otherwise healthy field of sugar beets. This "landing site" measured exactly 30 by 39 feet and was 200 yards from a dirt road. Vegetation within the oval was apparently dehydrated, crumbling to bits when crushed in the hand. The plants outside this patch were healthy and unaffected except for an area immediately to the west where the condition of the plants progressively became less withered over a tail-like swath of about 50 feet. The implication was that something “swooped” over the field from the west, spewing radiation before landing on top of the foot-high plants. What was most remarkable about the “landing site” was that inside it were "tripod" marks: three impressions in the dry, hard, packed soil that were bowl shaped, about 18 inches across and three inches deep with small rectangular holes in their centers. It was as if something like a lunar module with three legs had hovered over the field and landed, its exhaust heating plants and soil to the point where desiccation occurred. Yet, it should be noted that no one in the area had reported seeing any UFO at any time before the site was discovered. This was a UFO case without any UFO involved. On February 15, 1977, at about 3:15 a.m., Mrs. B, who lived just on the outskirts of Sundown, heard howling outside, and thought stray dogs were attacking her cattle. She got her .22 calibre rifle, went outdoors and fired shots into the air to scare the culprits away. She became frightened and went back inside her house. Looking out from her bedroom window, which faces north towards a swamp, she saw a group of orange lights by a bridge three‑quarters of a mile to the north, with a second set of lights off to one side. The lights were arranged in a row, appearing like the windows on a house, although there was no house near that area. In addition, there were “searchlights,” like those at Hollywood premieres, playing about the sky in various colours of blue, green, red, yellow and white. The nearest the saucer came was over a tree in Mrs. B's garden, which is about 25 feet in height. Using the width of the tree as a guide, she judged the object to be only seven feet wide, and about four feet high. Later, an examination of the area near the bridge revealed nothing unusual. Due to the heavy snowfall and the lack of travel on the road, investigators were forced to examine the area riding snowmobiles. No recent tracks were discovered that could be attributed to activity around the bridge or in the bush. In the early morning of March 4, 1977, Mr. S was driving eastward towards his farm near Sundown, along Provincial Road 201. About four miles west of Sundown, at about 6:00 a.m., Mr. S saw a "vibrating," shimmering, oval source of light directly ahead of him, an estimated 15 feet above the road. Its colour was whitish‑cream around its outer edge, darkening to yellowish‑cream toward its centre. It made no noise and did not look to be a solid, metallic object. Mr. S estimated it was "as big as a car." Thinking, "I'm not really seeing this," he continued driving and passed directly underneath the object. He said he still could not see any solidity to it. bulbous head, a narrow neck and a flared body "like a skirt" to the ground. No features were visible on the heads. Quickly applying his brakes, he realized that he could not stop in time, so he braced for the impact. To his surprise, he felt absolutely nothing as he "drove right over" the creatures on the road. They seemed to "disappear" when they touched the front bumper. Mr. S compared this to driving over three vertical flashlight beams shining from three spots under the road. He saw the entities reappear behind him when he looked in his rear‑view mirror. As they reappeared, he saw that they were shrinking proportionately, "like they were balloons going down," until they disappeared entirely. Shaken up and in a very anxious state due to this experience, Mr. S drove straight to the house of a friend who lived south of Sundown at Sirko, Manitoba. There, Mr. S told his story to his friend, who listened patiently and saw that Mr. S was visibly shaken by his experience. Concerned that Mr. S had killed some living beings, his friend persuaded him to call the RCMP. The police arrived in a matter of minutes (responding to the "accident! "), and went with Mr. S and his friend to the spot where the incident had occurred. By this time, the Sun had risen, and the site could be inspected easily. There were skid marks where Mr. S had applied his brakes, but no sign of blood, footprints, glass or any other evidence that anyone had been hit by a car. As well, there were no signs of impact on Mr. S's car. On October 22, 1978, at approximately 8:05 p.m., a large, red light was observed by many people in southern Winnipeg. Several district police offices were inundated with telephone calls from people reporting the slow‑moving light. It was seen to move on an "S‑shaped" path for two to three minutes before it grew brighter, then exploded and disappeared in a shower of sparks. At 9:22 p.m., the pilot of Air Canada Flight 181 (a DC‑9), on final approach to Winnipeg International Airport, was approximately four and a half miles southeast of the runway when he reported "traffic" in his vicinity. Air traffic controllers reported that they detected no traffic near him, and questioned his observation. The pilot replied that there was a bright red ball of light at the same height as his aircraft, which was at about 2300 feet at the time. The object was observed to move east, then "got bigger" and finally "burst" in a bright display. A smaller aircraft heading southeast confirmed this report; the pilot of the small plane reported a "steady light" for two to three minutes, then was startled when the UFO exploded. Three of the air traffic controllers also observed the explosion while conversing with the pilots. At about 12:30 a.m. in early March, 1980, while recuperating from an illness and surgery in Teulon Hospital, a man happened to be unable to sleep, and gazed out the window of his room. He was surprised to see a "football‑shaped" object silently gliding over a building, apparently "just across the street." The object was an estimated 30 feet in diameter and 15 feet in thickness, with multicoloured "Christmas lights" along its upper edge, steady and unblinking. It was moving southeast, and as it passed the witness, it seemed to briefly turn on its "cabin lights." 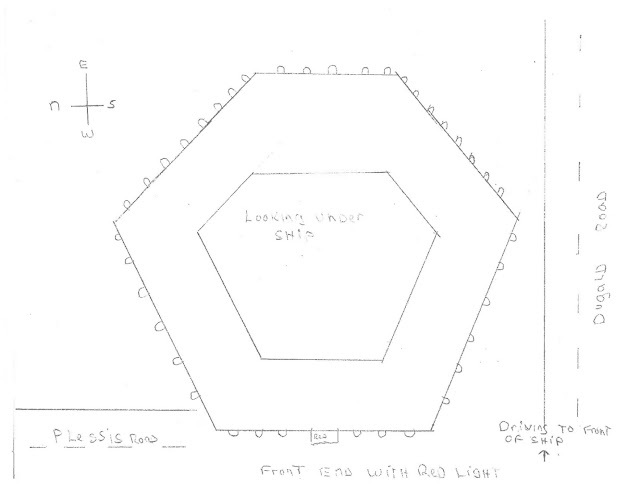 The man found himself looking into four white "windows" which appeared along the middle of the craft. After a few seconds, the "cabin lights" were extinguished, and the object travelled out of view in about two to three minutes. He described "people" in the windows with their heads facing the direction of flight. He recalled seeing "hair" "cut fairly short" on each of the heads, as well as other normal features such as ears, noses, lips, etc. At its nearest point, the object was at an estimated 150 feet away from the hospital window, over another building. In fifteen minutes, the same object travelled back, westward, without turning on any cabin lights. After another fifteen minutes had passed, the same object passed by again on its way back to the east. At this point, the man called for a nurse to stay with him and watch for its expected return trip, but it never appeared. On the evening of March 4, 1985, a woman called the Dauphin city RCMP to report a UFO. In response, two constables were dispatched and immediately observed a light in the sky, "brighter than a star." It was thought to be about half a mile north and one mile west of the town, and like a "helicopter with a floodlight." The police drove west of Dauphin in pursuit of the object, at speeds of up to "140 kilometres an hour." Despite the speed, they were unable to gain on the object over a distance of nearly 20 kilometres. Other RCMP Detachments at Grandview and Roblin also said observed the object. Calls were made to radar installations, but no aircraft were reported in that area at the time. On October 9, 1989, at 2:50 p.m., a family was visiting the Fort Whyte Nature Centre when they saw a white boomerang shaped object in the northeast, hanging in the air over Winnipeg. One parent ordered the children into their car to prevent them from seeing the frightening craft. As the adults watched, the object slowly rotated, showing a bulge on its underside. After a few minutes, the object moved away out of sight. On November 1, 1992, Karen, a nurse living in southern Winnipeg, awoke at about 2:00 am because of a loud thump on her door. She thought it was her noisy neighbours, who often were very loud and were very disturbing. She decided to get out of bed and see who was in the hallway outside. She then realized that they were not children, but unusual beings with large round eyes and wearing long white gowns or robes. They were very small, only 3½ feet in height. She asked them to leave, but they just stood, facing her. They did not seem to have any other facial features, but they somehow began communicating with her, by what she assumed was telepathy. They turned their heads to look at each other, then turned back to her. They told her that they wanted to take her for a ride into space. Karen was told they were “going to the stars,” and watched as the beings on either side of her manipulated the controls. As they took turns pressing the buttons, the buttons would light up. The blue sky in the forward windows deepened in colour to black, and she soon could see many stars. Watching the beings in action, she noticed that their hands were more like “mitts,” with no fingers, and that they used their entire hands when depressing the buttons. Suddenly, Karen found herself back in her room. Karen was convinced that the experience had been real. She insisted that she did not normally have vivid dreams and that she did not read science fiction novels, go to SF movies or watch TV shows with such themes. When she met with UFOROM investigators, Karen seemed very rational and calm. She did not seem to be the type of person who would make up such a story and wasn’t seeking any money or notoriety. It was a cold winter night in January, 1993, when Craig and Paul were returning home after watching the Winnipeg Jets play hockey at the Arena. It was about 10:30 p.m., and Paul had just turned east on the Perimeter Highway at the Highway 7 overpass north of the city. There were no cars near them on that stretch of road which was very dark that time of night. The highway was very slippery and they were forced to drive very slowly as a consequence. As they rode along, they were talking about the game and about some of the charity work that they had been doing there. They had only gone about three kilometres when the car’s engine suddenly died and the headlights went out. Surprised, Paul began trying to start the engine again but then noticed a strange object not far from the road. It looked like “two Frisbees put together, with a bump on the bottom,” Paul said. It was hovering noiselessly about 150 metres in the air and within 100 metres of the highway, near some telephone poles. Craig said that they were both in some kind of shock, completely taken aback by what was happening. “It all seemed so unbelievable,” he added. After about 15 seconds, the strange object moved away from them at high speed, heading southeast towards the city. It was out of sight in a matter of seconds. Then, without warning, the car’s headlights came back on and Paul was able to start the engine again. They traveled back home and told their families what had happened. Soon, UFOROM investigators were called and attempts were made to understand what had been seen. According to Craig and Paul, the car’s cigarette lighter, horn and interior dome light would not work after the encounter. On August 4, 1997, at 7:20 pm near Hadashville, two forest rangers in different towers simultaneously observed a "silver ball" which hovered over the trees some distance away from them. A second identical object approached the first and the two traveled away together. On August 7, 2005, at 2:08 pm near Vita, a silver, cigar-shaped object like a “wingless missile” flew over three witnesses. A fast-flying conventional aircraft followed the object on the same trajectory after a few seconds. On February 25, 2012, at 7:00 pm in Winnipeg, two witnesses observed a flat, disc-shaped object with red lights around its perimeter. As it flew it in horizontal flight, it turned on its side and then darted towards the witnesses’ vehicle, then vanished before their eyes when it was within five metres of them. At approximately 10:30pm CST some friends and I were walking along a street in Thompson, Manitoba when we noticed three orange glowing orbs in the sky in a rough triangular formation. They were not blinking like an airplane, and they moved slowly across the sky. We stood and watched them for a few minutes, each of us in turn trying to rationalize what they may be. As they moved across the sky the orbs shifted into a line formation. We waited to hear the typical airplane noise but it never came, even after the lights had disappeared on the horizon. In my search for an explanation, many similar descriptions have been dismissed as Chinese paper lanterns being set adrift in the sky. I firmly believe this was not the case in the event we saw—the lights were far away yet seemed quite large. 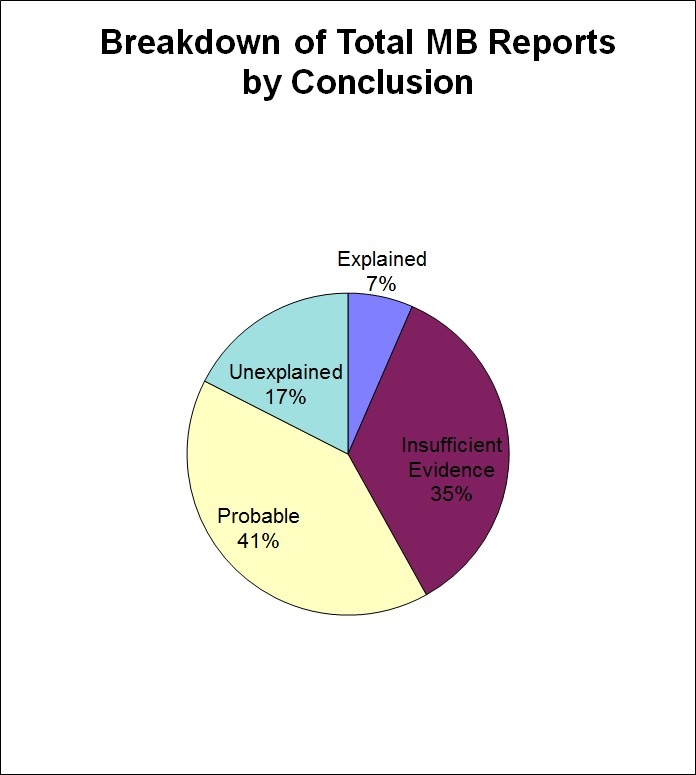 Data entry and analyses of Manitoba UFO reports were by Geoff Dittman, Ashley Kircher and Chris Rutkowski.